Drew Barrymore. Anne Hathaway. Jennifer Lopez. Halle Berry. What do these lovely ladies all have in common? Their nails have all been touched by the one and only manicurist, April Foreman. She's not only worked with these fabulous actresses, but with some of the top designers in the business like Oscar de la Renta and MaxMara. Her work has appeared in Vogue, Harper's Bazaar, Allure and W. (She even did the nails for the "Two for the Road" story in the March 2009 issue of Allure, on newsstands now!) Intrigued? Read on to find out more. I'm originally from Bakersfield, California. I moved to Los Angeles 9 years ago seeking a little more diversity in my life. Needless to say, I found it, and I plan on sticking around! I have an older sister that decided she wanted to go to beauty school and become a manicurist. I had a full course load in college at the time as well as a part-time job. Yet she was still somehow able to convince me to sign up for beauty school with her. Needless to say, she dropped out of class on the first day, and 13 years later I'm still doing nails! It was actually one of the best "accidents" that could have happened. Have you worked with any manicurists that inspired you? What did they teach you? 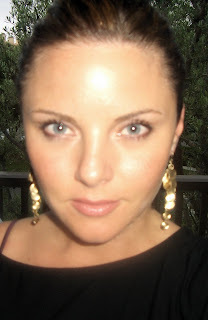 The manicurist that inspires me the most is a girl you wouldn't know named Natalie. I worked side by side with her for the first few years of my career. And while I've always gravitated toward the natural nail look, she got me out of my comfort zone and taught me how to airbrush. This girl could do the craziest stuff with her airbrush! I was always terrified of making a mistake on a client, and Natalie taught me to get over the fear -- it's just paint! I thought of her last week when I was on a video shoot doing some flashy nails for Beyonce. I thought, "If only Natalie could see these nails." She would have definitely approved! I only work freelance on photo shoots, etc., so everyday is different, and I find myself constantly in awe. For example, after getting Jennifer Lopez ready for a concert, her glam team was able to watch the performance from this great little nook in the rafters on the side of the stage. The view was amazing -- being able to see the performance, as well as the entire audience from that point of view, was unforgettable. Getting people ready for awards shows such as the Oscars always gets a little buzz going. The whole city takes on a different energy that day, and it's so much fun to glam someone up and watch them work the carpet from the comfort of your own couch later. I love Essie for their natural, sheer colors -- no one does them better. They are the only polishes that you can actually mix and layer to create the perfect color for any skin tone. 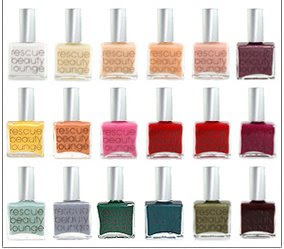 I also love, love, love, butterLONDON and Rescue Beauty Lounge. The quality of the polish is great, and both always have the most amazing colors that you can't find anywhere else. And my kit wouldn't be complete without Deborah Lippmann. I am absolutely obsessed with the colors Dark Side of the Moon and Fashion. 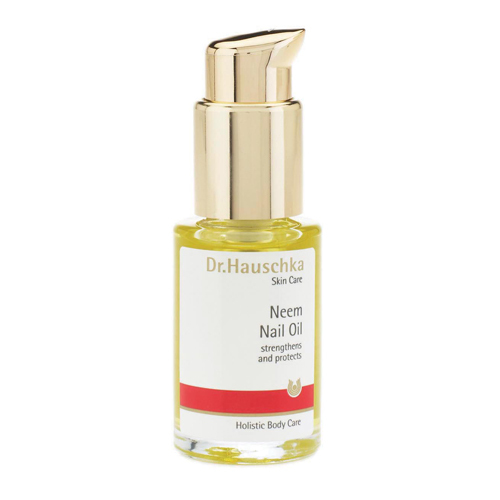 1) Dr. Hauschka Neem Nail Oil. A little pricey, but worth every penny. I always have extra on hand to give clients so they won't take my bottle! 2) AHA cuticle eraser by Creative Nail Design. I have used this for over 10 years, and I have never found anything else that comes close to it. 4) I also love the Ole Henriksen Hands Forward SPF 15 Lotion. It's unscented, soothing and has SPF built right in. Let's be honest, does anyone really apply sunscreen to the backs of their hands on a daily basis? This lotion has you covered! 1) Moisturize! Nothing ruins a manicure like dry cuticles. 2) Don't cut your cuticles. If it isn't done correctly, you're actually making the problem 10 times worse. 3) My secret manicure. I always push my cuticles back after a long, steamy shower then moisturize my hands and cuticles, and simply buff every now and then. That really is all you need for great looking hands. Don't tell anyone -- I'll be out of a job! The part of my job I love the most is all of the people I get to interact with. When I worked in a salon, it always felt like I was visiting with girlfriends all day -- definitely good for the soul. Also, working with such an amazing group of creative people on set is truly inspiring. Having the opportunity to interact with so many different types of people broadens one's perspective on life -- you can't get that in a cubicle! Being a manicurist must be fun -- but what do you do for fun when you're not playing with nail polish? Since taking care of others is such a big part of my job, taking care of myself is a huge priority in my down time. Yoga and surfing seem to be making the list a lot these days. I also have a geeky tendency of enrolling in random classes to simply learn something new and exercise the brain in new ways. Everything from sewing, to voiceover, to "ohm-ing" with yogi's on a retreat in Mexico has been attempted in the last year. I love trying it all!